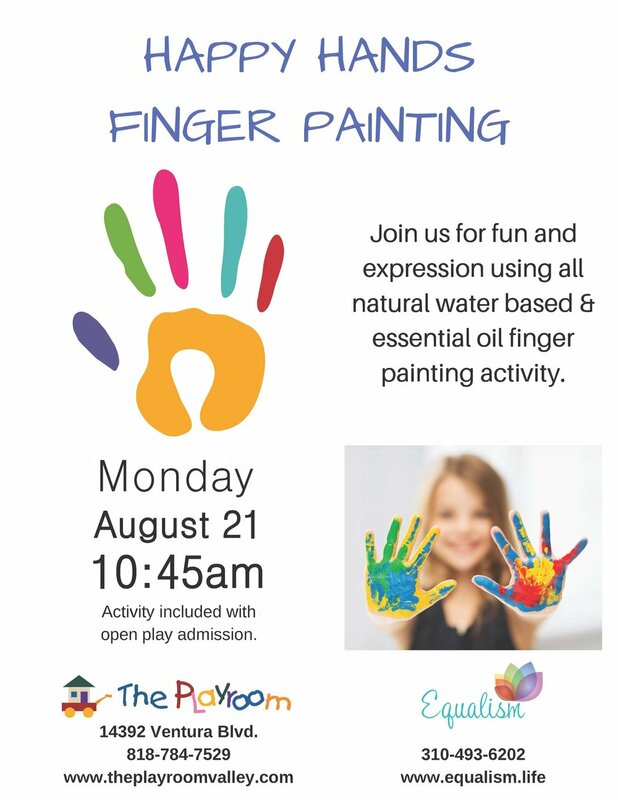 Bring your happy hands to The Playroom Monday, August 21st for a finger painting with essential oils activity. This event is very popular and we encourage registering online prior to the event, but is not required. Adults must wear socks. No refunds on pre-purchased Open Play Pass, only valid for August 21st. Pre-purchase of Open Play Pass not required.